It is one of the most fabulous things in the world: an armful of basil, fresh from the garden in early autumn. The plant may have gone to see, the stems a little woody and straggly, but the leaves are still green and gorgeous. Stand in the kitchen and strip the leaves. The smell is phenomenal – so strong you could bathe in it. It’s a thing of glory. 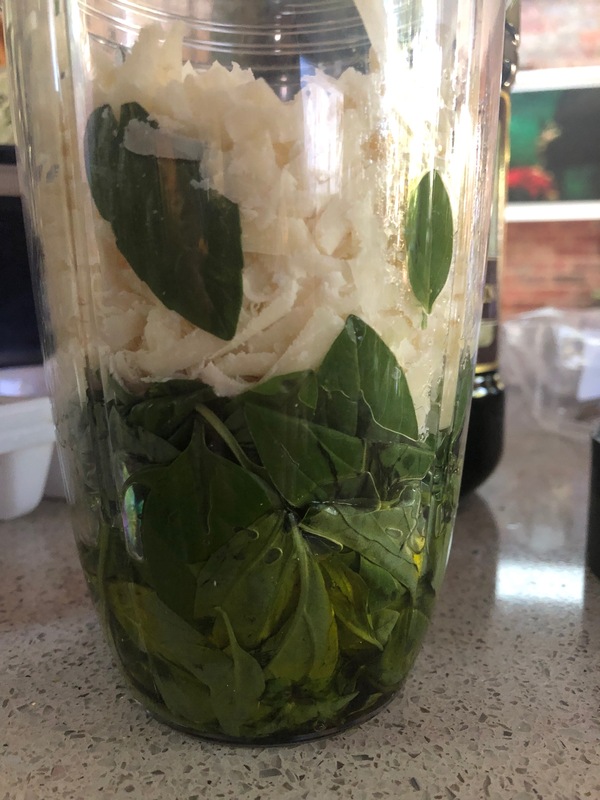 It tells you summer is over, but making pesto gives you a little bit of sunshine to pep up your meals all autumn and winter. 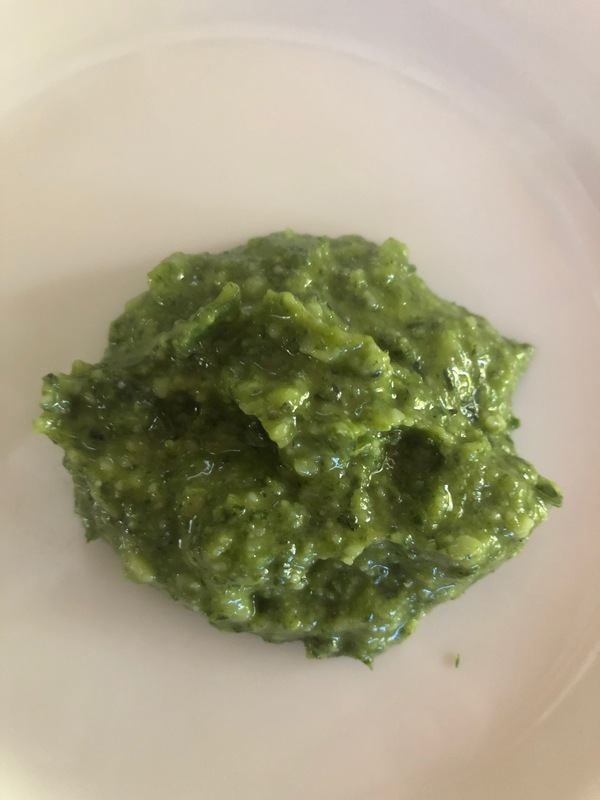 I know the world doesn’t need another pesto recipe …. and it’s not my intention to try. This is just to remind you to do this before it’s too late. It’s worth it even if you have to buy a big bunch. You know the drill: put a heap of basil into a blender. Add oil, garlic, toasted pine nuts, grated Romano or parmesan cheese, salt and pepper. And depending on what you have, substitute some or all of the basil with rocket, or mix with spinach. Use walnuts instead of pine nuts, or even cashews. Put some in jars and cover with olive oil. Put some in the freezer: I put little blobs on baking paper, and when they were frozen bundled them into a small freezer bag, ready for me to add to soups or stews as I like. Some people use Icecube trays, but the blobs work just as well. And then enjoy at your leisure.